Myung-sook Auh is a member of the Creative and Performing Arts Education team. Within this group, she specializes in Music. 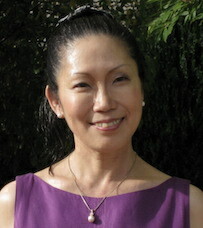 Myung-sook Auh has been successful in awards of external grants for research on topics of 'videoconferencing in schools' (2010, 2011, Australia-Korea Foundation (AKF) of the Australian Department of Foreign Affairs and Trade), rural education research (2007, AKF), and creativity and Korean traditional music (2002, 2003, Korea-Australasia Research Centre at the University of New South Wales). The videoconferencing research was to investigate pedagogical potential of videoconferencing in Australian and Korean schools and students' quality learning outcomes from their videoconferencing experiences. Her rural education research was to build a collaborative relationship between UNE and Kongju National University in Korea since 2007, which has been consolidated after 4 years of research collaboration. In addition, the creativity research with Korean traditional folk music Pansori tackled the issue of tradition and innovation in the context of Korean traditional music. Myung-sook Auh's publications include 1 edited book, 4 book chapters, 10 research journal articles, and 25 full-paper refereed conference papers. The edited book is entitled Handbook for the Collection of Great Western Classical music, which accompanied a collection of 20 CDs (1998). The book chapters are about teacher education in Australia and Korea (2010), doctoral journey (2010), children's musical development in Korea (2001), and creativity in music (1998). The journal articles are on the topics of videoconferencing in schools (2011), educational welfare in Australia and Korea (2011), building confidence of pre-service teachers in teaching music (2004), creativity in music (2003a, 2003b, 2000, 1999, 1997), and psychology of music teaching and learning in cross-cultural contexts (2001, 1999). Her conference papers were published in international and national conferences, and cover the topics mentioned above. Musical tastes in cross-cultural contexts. Myung-sook Auh, born in South Korea, was educated in the USA for her PhD and Master's degrees. She came to Australia in 1998, and taught in several universities in Sydney before permanently settling at UNE as a Lecturer in Music Education in 2005. Her doctoral research was about creativity in music, and she linked it with graphic notations to explore relationships between visual thinking and creativity in music. She also applied the concept of creativity to Korean traditional folk music, Pansori, exploring the issues of tradition and innovation. The SiMERR National Centre's collaboration with Kongju National University in Korea brought a new dimension in her research, i.e., teacher education in Australia and Korea. She has been building a unique research project called the Australia-Korea ConneXion program, which links Australian and Korean schools using videoconferencing. The videoconferencing in schools is a new research area, and few researchers have investigated its pedagogical potential. Myung-sook Auh is Coordinator of the Secondary Music Education program in School of Education at UNE, and teaches all the four core units of the program; i.e., Secondary Music Pedagogy Y7-10, Secondary Music Pedagogy Y11-12, Secondary Music ICT, and Research-Based Secondary Music Pedagogy. The Secondary Music Education Program is offered in Graduate Diploma of Education and BMus/BTch Combined degrees. She also coordinates the core Primary Music Pedagogy unit for B.Ed in Primary Education degree; i.e., Creative Arts Curriculum Studies II: Music and Dance. Myung-sook Auh was awarded a doctoral scholarship from Case Western Reserve University in Ohio, USA in 1991 – 1994, and Armington Fellowship for her doctoral research in 1994 – 1995. In 2002 – 2003, she was the Tertiary Representative for the NSW Board of Studies Curriculum Committee for revising the NSW Music Years 7-10 Syllabus. She was an Editorial Board member for the International Journal of Music Education in 2002 – 2005.